"Today's historic resolution is the first hopeful news on Syria in a long time," UN Secretary-General Ban Ki-moon told the council immediately after the vote. 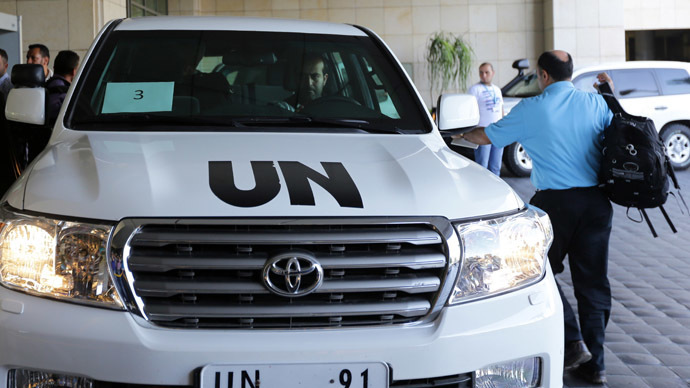 The target date for a new peace conference in Geneva was set for mid-November. However, the Syrian opposition should be represented at the Geneva peace talks in a single delegation, the Secretary-General said. The adopted resolution calls for consequences if inspectors decide that Syria has failed to fulfill its obligations. The nature of the reaction, however, will depend on another resolution which would have to be passed in the event of non-compliance. 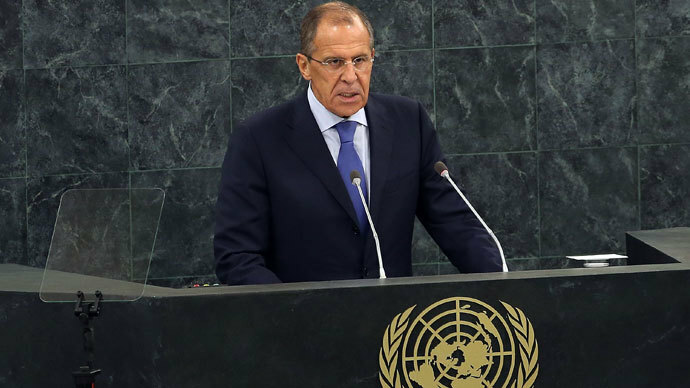 ‘The resolution does not fall under Chapter 7 of the UN Charter and does not allow any automatic enforcement of coercive measures,” Russian Foreign Minister Sergey Lavrov said after the Security Council vote. The UN Security Council resolution on chemical weapons in Syria will have to be observed not only by the Syrian authorities, but also by the opposition, Lavrov stressed. "The responsibility for the implementation of this resolution does not only lie on the government of Syria," he said. 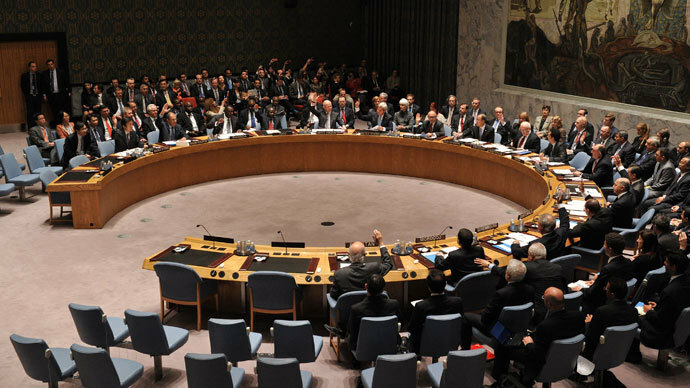 The chemical weapons resolution on Syria establishes a framework for overcoming the ongoing political crisis. According to Lavrov, the Syrian opposition is also obliged to work with international experts as required by the Security Council resolution. 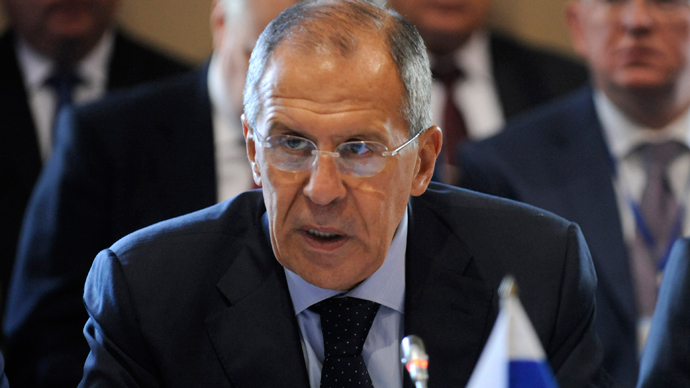 "We hope that more and more scattered groups of the Syrian opposition will finally be able – as the Syrian government has already done for a long time – to declare its readiness to participate in an international conference without preconditions,” Lavrov said. The US Secretary of State, John Kerry, however, stated in his speech that only the “Assad regime carries the burden of meeting the terms of this agreement," telling the international community that inspections will begin by November. “Syria cannot select or reject the inspectors. Syria must give those inspectors unfettered access to any and all sites and any and all people," he said, adding that the weapons should be destroyed by mid-2014. ”This resolution makes clear that those responsible for this heinous act must be held accountable,” said Kerry. “France as others especially the United States of America took its responsibilities, and we consider that standing firm has paid off,” he said, suggesting that only the threat of imminent military action forced President Assad to give up his chemical weapons stockpiles. The groundbreaking UNSC resolution not only recognizes that any use of chemical weapons is a threat to international peace and security, but also “upholds the principle of accountability for this proven use of chemical weapons” by the Syrian regime, said William Hague, UK Secretary of State for Foreign and Commonwealth Affairs. "Australia’s assessment is that the evidence available shows that it was the Syrian authority who were responsible for this crime and this incident has confirmed what Australia had said for a long time, that the Council should refer the situation in Syria to the International Criminal Court,”Quinlan said. Syrian UN Ambassador Bashar Jaafari said the resolution holds all parties in Syria equally responsible for the elimination of chemical weapons, including rebel forces. However some member of the Security Council are trying to sabotage the effort, Jaafari stated after the adoption of the historical document. “It is regrettable that some delegations have begun adopting a negative interpretation of the resolution in order to derail it from its lofty purposes,” Jaafari said. He also pointed out that the United States, France,Turkey, Saudi Arabia and Qatar must commit to the document and be held accountable if they continue to arm the rebels. "You can't bring terrorists from all over the world and send them into Syria in the name of jihad and then pretend that you are working for peace," Jaafari said. He reiterated that Damascus is "fully committed" to attending November’s Geneva 2 conference. 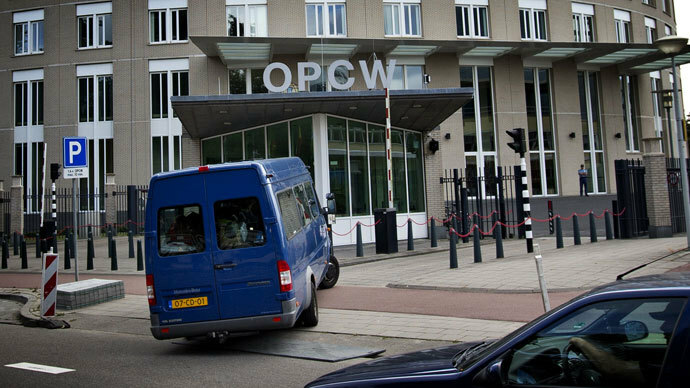 The Council’s vote came shortly after a consensus had been reached earlier on Friday by the Organisation for the Prohibition of Chemical Weapons (OPCW) in regards to the proposal. The five veto-wielding members had agreed upon the text on Thursday before presenting the draft to the full 15-member body during overnight discussions. The draft resolution is fully in line with the Geneva framework on the destruction of chemical weapons in Syria, Sergey Lavrov told the press earlier on the sidelines of the UN General Assembly's 68th session.